Be the first to share your favorite memory, photo or story of Shelvia. This memorial page is dedicated for family, friends and future generations to celebrate the life of their loved one. Shelvia Jean Brooks was born on May 4, 1943, 5th of 11 siblings, to the late Charles Preston Samuels, Sr. and Mary Elizabeth Tyler in Spotsylvania County, VA and blessed with foster parents: Eugene Clinton Tignor “Pops” of Kilmarnock, VA and Alida Bernard Tignor of Suffolk, VA. Shelvia was educated in the Spotsylvania County Schools and graduated from John J. Wright Consolidated School in June 1960. She furthered her education for a brief time at Virginia State College in Petersburg, VA.
Shelvia joined Jesus at the Beulah Baptist Church through baptism, at the age of ten. She began her career in New York City at Amsterdam News and J.P. Morgan Guaranty Trust Company. She lived in New York for 14 years before going to work at The Department of Treasury, AT&T Telephone Services in Washington, D.C. Her final job was as a contract specialist for The Department of Defense, Crystal City, VA where she retired in January 2006. 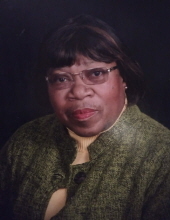 Shelvia was a long standing, active member of Beulah Baptist Church. She sang in the soprano section of the Adult Choir under the direction of Judith Ward, where she worked as both President and Secretary, President of the Adult Missionary Ministry, member of the Beulah Scholarship Committee, Beulah Kitchen Committee, an active member of the Spotsylvania Sunday School Union, a two-year NAACP Queen of Beulah Baptist Church; an officer of the Mattaponi Women’s Missionary Body and advisor of the Youth Mattaponi Missionary Ministry for many years until her health declined, no longer allowing her to participate. Shelvia loved to go visiting the sick and shut-in with her long time friends: Minister Inez Dawson, the late Deacon Willie Dawson and Deacon John Wilson every Sunday after church services to minister the Word of God through song and scripture. In her leisure Mrs. Brooks enjoyed trivia, crossword puzzles, coloring, playing cards, saltfish breakfasts (and dinners) and singing while baking and cooking. She was known as the “Church punch and pound cake” lady for evening service meals. She also enjoyed westerns, CSI Miami (LL Cool J) , Steve Harvey and Judge Judy. Her Bible readings were her bedtime stories, as she enjoyed reading the Word and researching the history and origin of the stories of Jesus Christ. Preceding Shelvia in death are her late husband: Horace Brooks, three sisters and three brothers in law: Patricia Ann English (John) of Harrisburg, PA, Althea Marjorie Johnson (James) of Philadelphia, PA, and Pauline Williams (Ernest) of Spotsylvania, VA and one brother: Charles Preston Samuels, Jr. “Fuzzy” of Spotsylvania, VA.
Four sisters and and brothers in law : Mary Almyrtle Fox (Joseph Fox, Jr.) of Spotsylvania, VA, Brenda May Williams (Walter) of Spotsylvania, VA, Glenda Faye Redding (John) of Atlanta, GA, Dr. Cynthia R. Samuels Brown (Bernard) of Arlington, VA and two brothers and three sisters in law: Alvin Arthur Samuels “Doodin” (Geneva), Elvis Marlowe Samuels (Carolyn) and Joyce McCall-Samuels, Spotsylvania, VA and a host of beloved nieces and nephews, great nieces and great nephews. All who knew Mrs. Brooks knew that she was a mild mannered, quiet woman, who spoke when it was important, loved birds, butterflies, and flowers, admired the color yellow, and cherished her many, many, beautiful hats and loved her perfumes. She will forever be missed. To send flowers or a remembrance gift to the family of Shelvia J. Brooks, please visit our Tribute Store. "Email Address" would like to share the life celebration of Shelvia J. Brooks. Click on the "link" to go to share a favorite memory or leave a condolence message for the family.